In New Jersey, there are several steps to take in starting your own business. Among the first things to consider is the legal formation of that business. Will it be a partnership or a corporation; a limited partnership or a limited liability company; a non-profit organization or a sole proprietorship? The structure of your business will determine just what you need to register with the State. If you are the sole owner/operator of your company, you may use your social security number as identification for federal tax purposes, according to the U. S. Internal Revenue Service (IRS). Businesses with employees are required to apply for an Employer Identification Number (EIN) from the IRS. Whether or not your business will employ others or collect sales taxes, you are required to register the business for “tax and employer” purposes with the New Jersey Division of Revenue. All businesses, regardless of their structure, must register with the State for the appropriate tax identification numbers, permits or licenses to make sure they are in compliance with the tax laws in New Jersey. This includes sales or use tax, income tax withholding and unemployment insurance taxes. Location of your business is an important factor in its success. When determining your location, be sure you are in compliance with the local zoning laws and any other regulations specific to the municipality and county in which you are doing business. Certain types of business are required by the State to obtain registrations, licenses or certifications, depending upon their nature. Unemployed persons seeking to become self-employed or to start their own business in New Jersey can find assistance under the state’s Self-Employment Assistance (SEA) program. This program offers qualified persons technical assistance and counseling in business plan development; weekly compensation in lieu of unemployment benefits; and a waiver of the job seeking requirement as long as the person is actively involved in self-employment activities. Because there are so many nuances involved with forming a business, you may want to seek the advice of an experienced attorney. 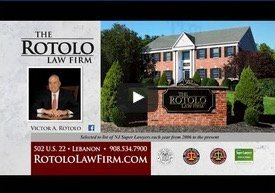 To make sure you are in compliance with all the regulations for starting a small business in New Jersey, contact Rotolo Karch Law attorneys to receive legal advice. Protect your business. 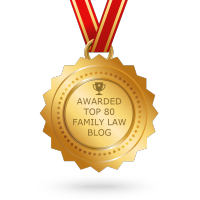 Call Rotolo Karch Law today.